Is it dishonest to remain quiet when the price of an item you’re purchasing is calculated incorrectly, and the mistake is in your favor? Does it really matter if we are honest with ourselves? Of course you know I’m leading you to answer “Yes”. Integrity in communication is important because it’s like opening a bag of potato chips. As long as the bag is closed (you have integrity) you aren’t as likely to dive into the bag. 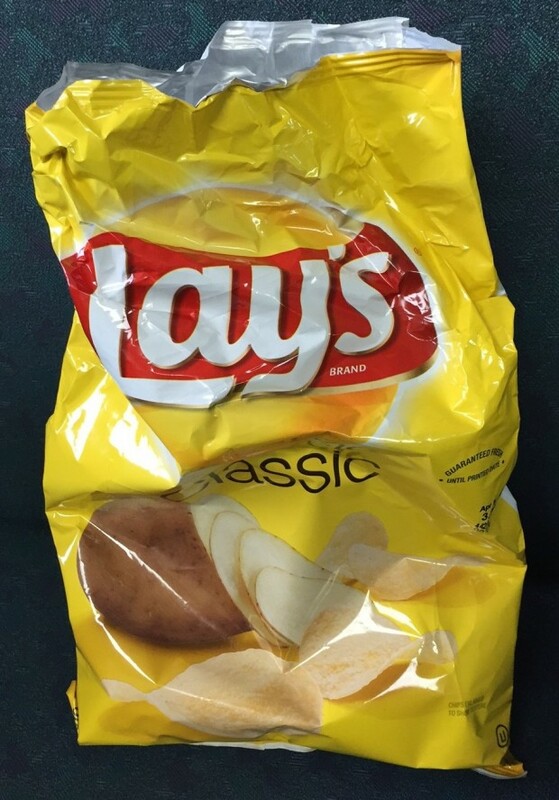 However, once the bag of potato chips is opened (or that first small lie has been uttered) you’re more likely to keep going back for bigger and bigger helpings of chips (and one small “white lie” leads to larger lies that have bigger consequences). Honesty has always been a trigger for me. I’m forgiving of some transgressions, but lying is difficult for me to get past. I don’t often give someone a second chance to tell the truth after a lie has been uttered. Because I feel honesty is so important, I am constantly judging my own words and actions. I struggle when I break the barrier of my integrity, even when I utter a “small white lie” or “exaggerate the facts” or I just can’t accurately remember the details. However, I am also hesitant to provide someone with fodder to harm me, judge me, or slander me. So in many respects, I’ve kept different aspects of my life compartmentalized. Even before I became a medium, I tended to keep my professional life and my personal life separate. “Authenticity” is a word that is bandied about a lot and is often used interchangeably with “honesty”. I’ve struggled with this. I don’t agree with using the two words interchangeably. Although similar, the two words are not synonyms. I feel I am an honest person, but I may not fit the definition of “authenticity” someone else ascribes to because I don’t share everything about myself with every person I meet. I’ve always been a private person. My work as a medium has made me even more private. I feel mediumship can be an amazing healing experience for someone who is grieving. However, I don’t push my beliefs on every grieving person I meet encouraging communication with the dead. I don’t feel spirit communication is a panacea for every situation and every person. I am happy to educate people regarding the mechanics of spirit communication and share my personal perspective regarding the work. But I also don’t relish the idea of subjecting myself to negative opinions and hate mongering by people who are scared by what I do, don’t understand what I do, feel communication with the dead is whacko, or make other value judgments about me and my work as a medium. I respect and am awed by some of my colleagues who are unapologetically forthright about their work, having no delineation between private life and public life. However, that’s not a persona to which I aspire. I’ve never been an open book for my colleagues to explore—not in the past when I was an IT project manager and not now when I communicate with dead people. So, I strive to be authentically honest with myself and authentically honest with the outside world—not by using another person’s definition, but by staying true to myself and using my own definition, which, in the end is exactly what authenticity is.